I'm a stealth knitter - I knit whenever I can, whether I'm supposed to or not. I knit in unusual places, like the bathroom and while sitting in traffic. I know, that can be dangerous, especially in Atlanta traffic, but I am careful. I hate wasting good knitting time, and I've learned I can get a few stitches done at a red light, and even more when there's a line of cars at a red light. Now, I'm stealing knitting time for myself. I have Christmas knitting left to do, but most nights, before finally going to sleep I steal a little time for myself. I quietly work on Gemini for me. I doubt I'll get it done for Christmas, but a row here and row there add up. 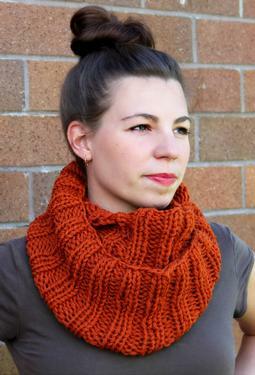 I also now have the yarn to make a Mallory cowl for myself. This one might get done for Christmas. If I hurry. I finished another sock, cast on for the match and now I'm about halfway done with it. I also think I've given up the idea for the kids' quilts for Christmas. Oh, the quilts are not going to be abandoned, and I still want to work on them. As a matter of fact, I got the sashing needed for the squares. But, I'm being sneaky - I'm hoping to have at least the tops done, and show them off while family is here. Then, perhaps, if she's not COMPLETELY oblivious, my grandmother will offer her sewing machine to me. It's a lovely 1940's Singer sewing machine, complete with cabinet storage and foot treadle. I think it's black, or maybe green, and old, and simply wonderful. There are no bells and whistles on it, and it probably needs to be cleaned, but I think it's adorable. It makes straight and zigzag stitches, and I think there's a buttonhole foot for it, and not much else. It's simplicity itself. And that is what makes it perfect. No computer screen to die, or microchip that will get fried during a storm, or thrity-thousand moving parts that could break and cost me an arm and a leg to replace. This machine has seen a lot - two children growing up, night shifts, recitals, at least one war, grandchildren, and now great grandchildren. This heirloom is one that should stay in the family, and be used lovingly. I don't know if I'll actually get it or not, but it's nice to hope that I will. I'm not the only granddaughter, nor am I the favorite. I'm okay with that - I've known that for the majority of my life, and have accepted it. But, I am the one who does more crafting and I even finished one of my grandmother's projects. She had started a crewel project ages ago, and I finished it sometime in high school I believe. It was a simple embroidery floral pattern, as a wall hanging. It's probably in storage somewhere, and I may drag it out if I can find it and hang it up somewhere. Maybe in Princess's room. But, in the meantime, I'm going to hope that I get this machine, and I can finish my quilts on it. I possibly could finish them on my machine, but the problem is that the feeddogs don't work as well as they should. Something's wrong with them, and that's affected the tension. I make it work, but I don't know how it'd work with the 3 layers of a quilt. I guess we'll see when I get there. Good work on making time for yourself as well as all your surprises. I know we moms often forget to do that. 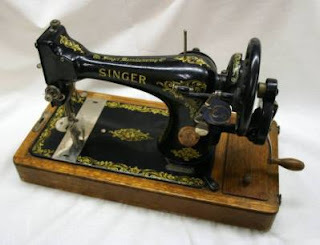 I love the story about your grandmother's sewing machine. Priceless!